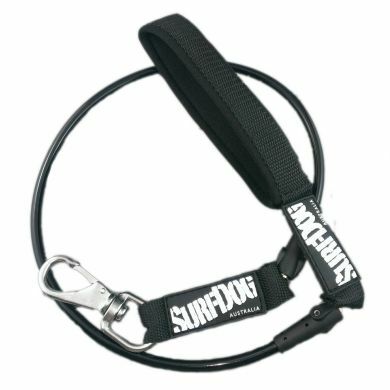 The Surfdog Radical Beach Leash uses the same strong urethane cord used by surfers everywhere and even though it is only 1cm diameter it is designed to cope with the most bouncy surfdog! 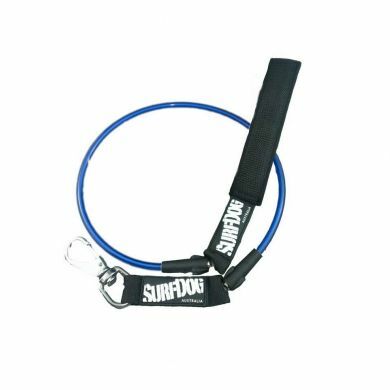 It has a little stretch to absorb your dog's bounciness and is a great length, not too long and not too short....90 cm end to end. 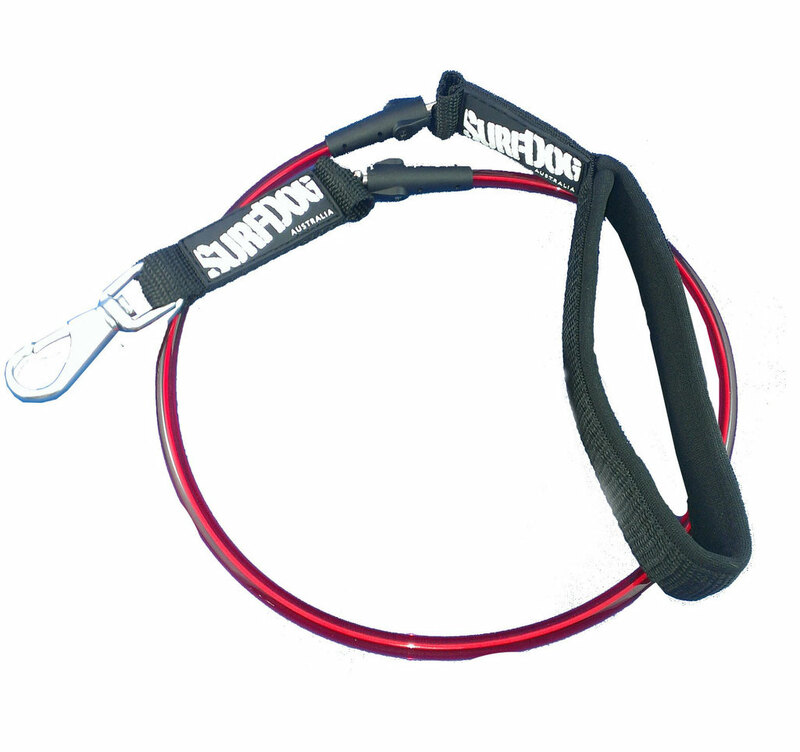 The leash features a really comfortable handle lined with soft neoprene with no sharp edges and with a space below to have something to hold on to. 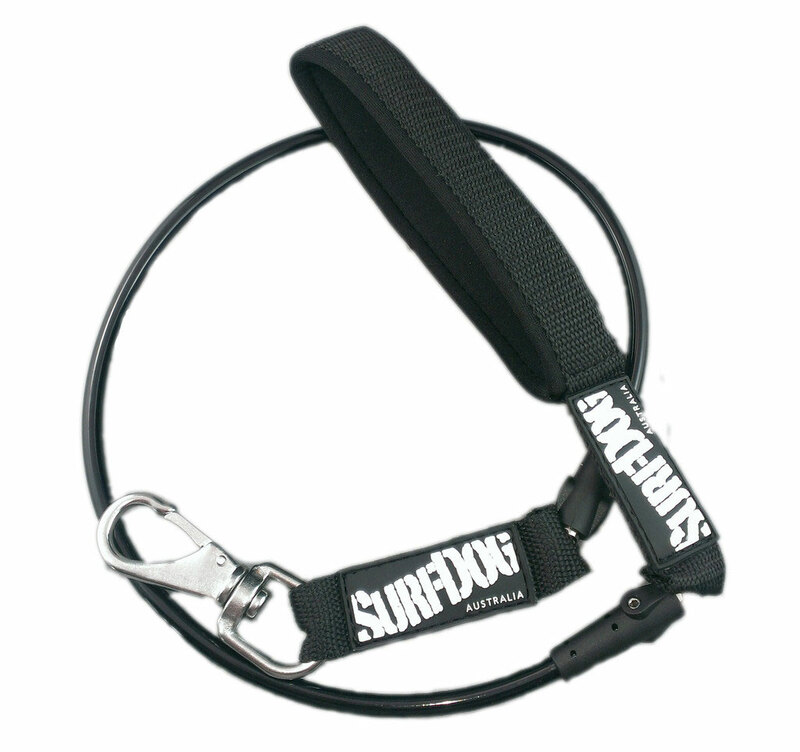 It also has traditonal brass swivels which help stop those annoying tangles and make the leash absorb all those twists and turns and not your wrist! 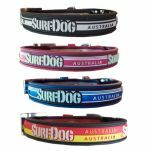 Read 2 customer reviews of Surf Dog Australia Radical Beach Leash. The average customer rating is 4.5. 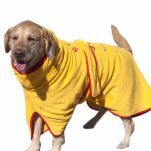 I'll now be able to save the material leads for when we're not walking or swimming in the water. 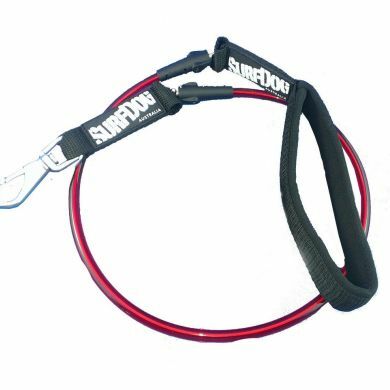 I purchased this beach lead as I couldn't find anything else suitable. My suggestion would be to either make the lead longer or have two different lengths to choose from (short or long). 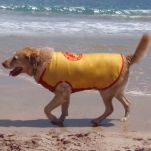 At this length I find it very hard to keep up with my Jack Russell when she does her body surfing. Still a great product though. 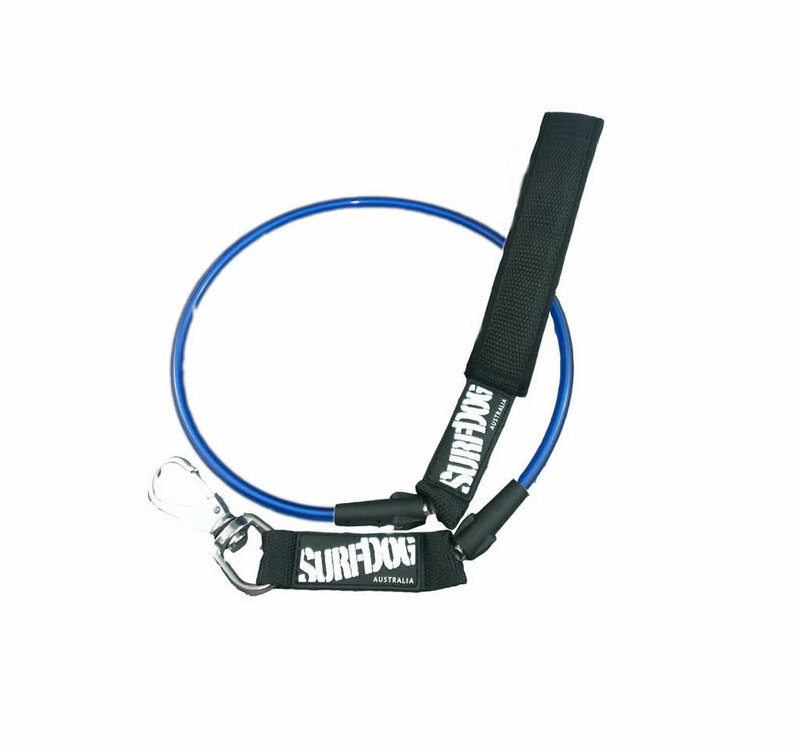 Very happy with this beach leash - comfortable hand grip and good quality. Excellent website and prompt delivery.